How Devoted are you to Finishing this Game? Devotion appears to be a pretty scary psychological thriller. It will earn scares in a kind of That-Doll-Shouldn’t-be-Standing-there kind of way. Dolls are creepy enough, but when suddenly appearing in a doorway, they step it up a notch. Red Candle Games comes through in a big way with this Taiwanese-set horror game. Devotion is about someone in a very religious family. As the trailer describes, the player faces a trial which ends with praying to Cigu Guanuin as “a consequence of your karma”. Devotion was released on February 19th, 2019. The trailer is spoken in Taiwanese (English subtitles are available) by a woman speaking to the player. She lays out the player’s objective, which is to pray to Cigu Guanyin. That is easier said than done. The trailer cuts to different parts of the game where the player experiences various supernatural events taking place in the Taiwanese apartment. The music is more of a dark rock intro than a horror game soundtrack, but still gives a feeling of suspense. The trailer shows off sequences of furniture flying all over the room and the player washing their hands like Lady MacBeth, just to tease a few parts of the game. The trailer ends with the player look up from a bowing position at a statue in front of a small pool of blood. Devotion has raked in tons of positive reviews on Steam. It also has been compared to the Silent Hill series and PT, which are great compliments for horror games. 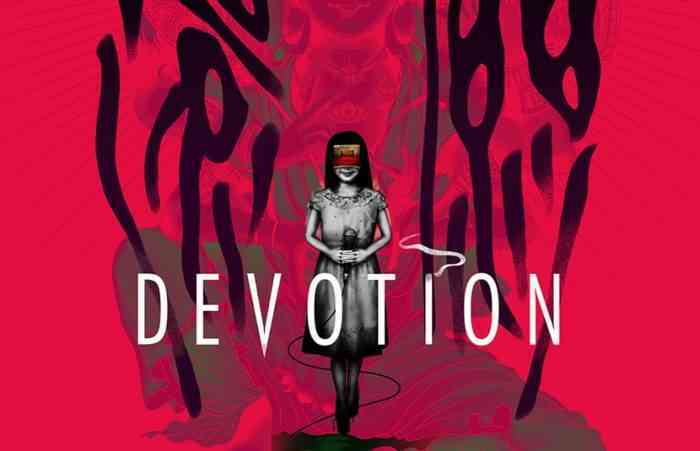 Devotion is available right now on Steam for $19.49 CAD. So far, no plans are made for a console version of the game. Does Devotion catch your eye? Let us know in the comments below.